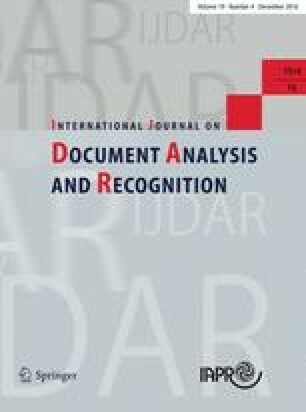 Two research strands, each identifying an area of markedly increasing importance in the current development of pattern analysis technology, underlie the review covered by this paper, and are drawn together to offer both a task-oriented and a fundamentally generic perspective on the discipline of pattern recognition. The first of these is the concept of decision fusion for high-performance pattern recognition, where (often very diverse) classification technologies, each providing complementary sources of information about class membership, can be integrated to provide more accurate, robust and reliable classification decisions. The second is the rapid expansion in technology for the automated analysis of (especially) handwritten data for OCR applications including document and form processing, pen-based computing, forensic analysis, biometrics and security, and many other areas, especially those which seek to provide online or offline processing of data which is available in a human-oriented medium. Classifier combination/multiple expert processing has a long history, but the sheer volume and diversity of possible strategies now available suggest that it is timely to consider a structured review of the field. Handwritten character processing provides an ideal context for such a review, both allowing engagement with a problem area which lends itself ideally to the performance enhancements offered by multi-classifier configurations, but also allowing a clearer focus to what otherwise, because of the unlimited application horizons, would be a task of unmanageable proportions. Hence, this paper explicitly reviews the field of multiple classifier decision combination strategies for character recognition, from some of its early roots to the present day. In order to give structure and a sense of direction to the review, a new taxonomy for categorising approaches is defined and explored, and this both imposes a discipline on the presentation of the material available and helps to clarify the mechanisms by which multi-classifier configurations deliver performance enhancements. The review incorporates a discussion both of processing structures themselves and a range of important related topics which are essential to maximise an understanding of the potential of such structures. Most importantly, the paper illustrates explicitly how the principles underlying the application of multi-classifier approaches to character recognition can easily generalise to a wide variety of different task domains.